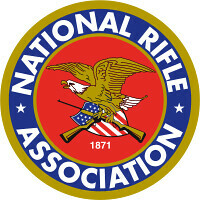 Suspension from School and Possible Jail Time for Wearing an NRA Shirt!? At the link, http://www.foxnews.com/us/2013/06/17/west-virginia-teen-arrested-for-nra-shirt-officially-charged/, is the story of a fourteen-year-old boy suspended from school for wearing a pro-NRA t-shirt. Not only was he suspended, but he was arrested and faces up to a year in jail for “obstructing an officer,” apparently because of something he said that offended the officer. Freedom of expression is dead in the United States except for the politically correct. A student would probably get away with wearing a pro-abortion t-shirt or a shirt promoting every kind of moral perversity, but God forbid the student wear a shirt defending gun rights. The officer claimed that the student’s “refusal to talk” kept him from doing his job as an officer. Now silence is punishable by arrest and a prison sentence. Now I know many police officers personally–the vast majority are not like the arresting officer in this case. However, none of them appreciate having their authority questioned. To some extent that is understandable, but this does not justify abuse of police power. School officials also lacked common sense in calling the police in the first place. Like many Americans, I feel a sense of anomie watching my country turn into a totalitarian state. This incident in West Virginia, the constant surveillance, the rising power and increasing militarization of federal law enforcement agencies, and the United States military engaging in judicial executions without trial of American citizens through drone strikes–these are just the beginning of what promises to be the end of what little remains of the American republic. Sometimes I could sit down and cry. There seem no realistic options to escape a totalitarian state other than to leave the country, but Europe is moving the same direction. As a Christian, I trust in God that all will be well in the end. In the meantime, we can all love God, love our families, work with dignity, and do what little we can to slow the inextricable destruction of liberty in what used to be the land of the free. The 5-4 ruling by the United States Supreme Court that strip searches, even for minor offenses, are legal is a disturbing blow to civil liberties. A man in New Jersey was stripped search after he was thought to have failed to pay a fine. It turned out that he had actually paid it, but that is irrelevant. What is relevant is that someone accused of a minor offense should not be humiliated and made to undress, having the most personal parts of the body probed. Apparently the Supreme Court, having made other provisions of the Constitution irrelevant due to their meddling, now believe that the Fourth Amendment no longer applies. 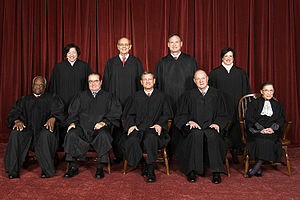 I do not understand how the justices who supported the majority opinion–Kennedy (who wrote the opinion), Chief Justice Roberts, Alito, Scalia, and Thomas–could be considered the Court’s “conservatives.” Surely it is not conservative to give police the power to abuse ordinary people who are charged (not convicted, thus they are legally innocent) with minor offenses such as a fine or traffic violation. One of the few good things the Warren Court did in the 1960s was to limit excessive police power. Otherwise, we run the danger of facing the same kind of atrocities visited on the American colonists by British law enforcement officials military personnel, or the atrocities that take place in any police state. I fear that the United States (as well as the United Kingdom) are on their way to becoming police states. As we know from the Stanford Prison Experiment, people placed in positions of total power over someone’s treatment, especially when such treatment involves stripping the patient naked, easily move to abuse their power. The students in the Stanford experiment playing the “guards” would have the students playing the “prisoners” strip naked for “delousing.” It did not take long from that point for further abuses to occur. The kind of humiliation involved in a strip search should be reserved for the most hardened prisoners who might be hiding weapons or drugs on their person. Americans are rapidly regressing to the point that they “do not deserve security nor freedom,” to use the statement attributed to Benjamin Franklin. It is unfortunate that the highest court in the land has sped the process of changing a democratic republic into a tyranny–even a “soft tyranny” is a bad thing and can lead to a full-fledged Soviet-style tyranny later. Police departments should use common sense in their strip search policies. If the states have any recourse given this ruling, they should pass state laws limiting police power regarding strip searches. A small risk of something bad happening is better than the greater risk of a police state. At http://dfw.cbslocal.com/2011/10/03/autistic-mans-acting-odd-lands-him-in-jail/ is a story that reveals the way police officers should not treat an autistic person. Police officers have a tough job, and they deal with the worst people in American society. It is not surprising, then, that they are cynical. Sometimes such cynicism is necessary and can save their lives. However, sometimes officers can become so cynical that they do not believe what anyone says, even an autistic person who informs the officers of his condition. If Mr. Blake did tell the officers that he had Autism (and Mr. Blake was wearing a medical alert bracelet), then they should have realized that they were not dealing with the usual troublesome drunk. If an officer did call Mr. Blake a liar, and this would not surprise me, then this was unprofessional conduct and is worthy of disciplinary action. One would think that after the Ryan Moats incident that Dallas police would have more common sense, but apparently these officers did not learn from their fired fellow officer’s mistakes. Do Dallas police get training in dealing with special classes of people, those who have Autism or Tourette’s Syndrome or other medical conditions that can cause behavioral problems? If so, the officers dealing with Mr. Blake apparently ignored their training, and they certainly lacked the virtue of prudence, the ability to adjust to particular circumstances in order to make the correct moral decision. Mr. Blake now sits holed up in his room, afraid a police officer will come after him. Paul Craig Roberts has claimed that American police are frustrated with not being able to catch the real criminals, so they turn to intimidation and violence against law abiding citizens or those weaker and vulnerable. I do not believe that this is generally the case; officers do catch a significant number of criminals who end up being convicted and sentenced to prison. There may be some officers who fall into the class to which Mr. Roberts refers. Part of the problem may be lowered police recruiting standards due to a dearth of qualified applicants. It becomes more difficult to weed out the smart-alack, power hungry, searching for an adrenaline rush officers who cause many of the problems departments face. Funding difficulties may prevent courses on special needs individuals from being taught to officers, even at large police departments. I am sorry if police who may be reading this think I am being overly harsh; since I have Asperger’s Syndrome, I have particularly strong feelings about such incidents. There are times I will talk to myself in public, usually when I am reasoning out some problem to myself. Suppose someone complained about my behavior. Would I be dragged out of a place of business and arrested? I suppose incidents such as this one are understandable; Americans are overly rule-oriented and do not focus sufficiently on the ancient virtue or prudence, or practical reasoning (Aristotle’s phronesis). But a failure to recognize the unique nature of unique circumstances is a moral failure, not merely a technical failure, and that is what, in my judgment, occurred in the treatment of Mr. Blake.